Why do we compete? Is it a natural human impetus or is it forced upon us by society? Do you get a thrill from competing or do you avoid it like the plague? How does categorizing people as winners or losers affect our society? And perhaps most importantly how does competition affect how we think about ourselves? For Out and About this week Ruth Copland goes a bit further out and about than usual to Laguna Seca Mazda Raceway in central California to interview two professional racecar drivers, Fernando Rees and Brandon Davis, who drive for Aston Martin and compete in races around the world including Le Mans, the FIA World Endurance Championship and Pirelli World Challenge. They talk about what drives (no pun intended!) them to compete. We consider whether competition is the best way to evaluate individual worth, and the merits and drawbacks of America’s obsession with competition. What is worth committing people to die for? Does MacArthur have blood on his hands? Why is The Korean War sidelined in US history? Why tell the story of this epic battle now? Are there things we can learn as well as be inspired by? Ruth Copland discusses these questions and more with special guest Hampton Sides. 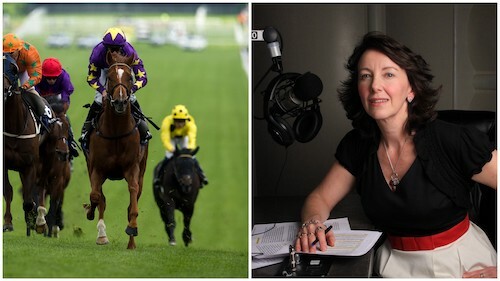 To listen to the interview click here Hampton Sides | It's A Question of Balance (broadcast 17 Oct). If you enjoy the interview, Bookshop Santa Cruz has signed copies of 'On Desperate Ground'. 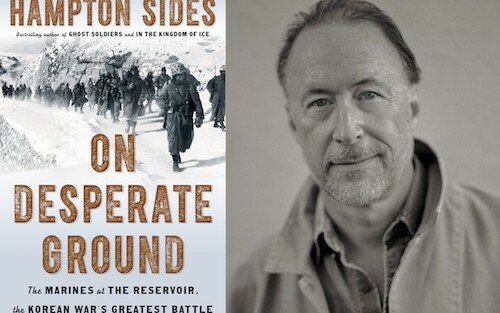 Hampton Sides is widely regarded as one of the best non-fiction writers of his generation as well as being an award-winning journalist and historian. He is the New York Times best-selling author of seven books of literary non-fiction and is best-known for his gripping non-fiction adventure stories. His latest book is ‘On Desperate Ground: The Marines at the Reservoir, the Korean War’s Greatest Battle’. Hampton Sides' book ‘Ghost Soldiers’, is a World War II narrative about the rescue of Bataan Death March survivors, and has sold over a million copies worldwide, has been translated into a dozen foreign languages, and was the subject of documentaries on PBS and The History Channel, and was the basis for the 2005 Miramax film, The Great Raid. His book ‘Hellhound On His Trail’, about the murder of Martin Luther King Jr. and the international manhunt for assassin James Earl Ray, was the basis for the acclaimed documentary ‘Roads to Memphis’ for which Hampton served as historical consultant. Hampton’s book ‘Blood and Thunder’, about the life and times of controversial frontiersman Kit Carson, was named one of the 10 Best Books of 2006 by Time magazine and is currently under development for the screen. 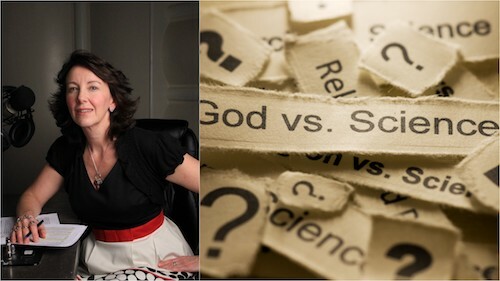 We consider ‘Can God and Science Co-exist?’ Atheists and creationists would have us believe that we have to choose between God and Science – but do we? 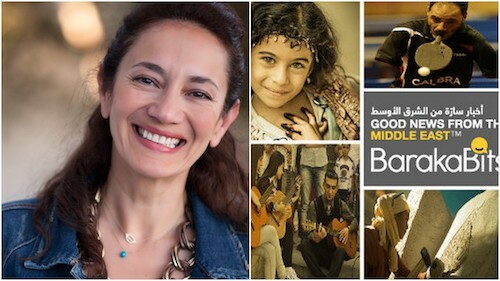 Ruth Copland features her conversations on the street for the show's Out and About feature. Amir Aczel in his new book Why Science Does Not Disprove God makes a distinction between two Gods – ‘the Gods of organised religions and the Gods of Einstein’. Einstein himself said ‘Science without religion is lame: religion without science is blind.’ The God Aczel is defending is a power behind the universe, not the God of religions. So is it possible to adhere to specific religious tenets whilst also appreciating the greater understanding of our world that science offers? Science has shown that we are made from the same cosmic dust as stars, quantum physics shows that particles once connected remain so over any distance, even millions of light years; increasingly science shows that we come from one source – and for many this source is God. Pope John Paul II stated “Science can purify religion from error and superstition; religion can purify science from idolatry and false absolutes. Each can draw the other into a wider world, a world in which both can flourish”. Do you see the possibility of religions and science working more closely to share their different perspectives? Can God and science co-exist? 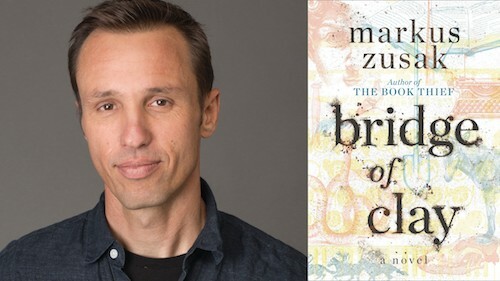 Ruth Copland talks to #1 bestselling, hugely talented, down-to-earth Australian writer Markus Zusak, award-winning author of 'The Book Thief', 'I Am the Messenger', 'Fighting Ruben Wolf', and 'Getting the Girl'. Markus is best known for his novel 'The Book Thief', which has sold 16 million copies worldwide, is published in 42 foreign language territories, has spent over 500 weeks on the New York Times bestseller list, and is a major motion picture. Markus’s latest book is 'Bridge of Clay', a novel 13 years in the writing. Ruth and Markus talk about what drew him to writing, the over-arching theme of his work, how the story of 'Bridge of Clay' evolved over many years, how and why he writes and much more. Markus will be appearing in person in Santa Cruz, California on October 25th at 7PM to talk about his new book and sign copies. Get advance tickets (which include a copy of 'Bridge of Clay') from Bookshop Santa Cruz, either in store or from www.bookshopsantacruz.com (the event will be at the Veterans Memorial Building). Originally published in the U.S. in March 2006, 'The Book Thief' received numerous awards, including a Michael L. Printz Honor from the American Library Association and the Sydney Taylor Book Award from the Association of Jewish Libraries. 'The Book Thief' has since gone on to become a book selection of community reads programs across the country and was released as a major motion picture in 2013. It was also featured on the list of America’s 100 most-loved books by PBS’s The Great American Read. 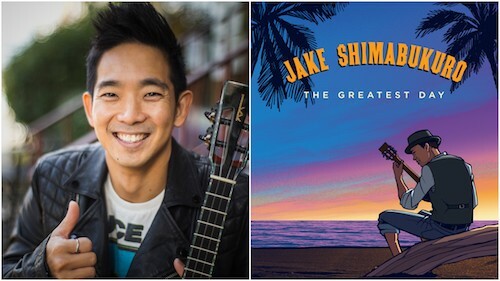 The best-selling 'I Am The Messenger' has also been honoured with numerous awards. Born in 1975 in Sydney, Australia, the youngest of four children of immigrant German and Austrian parents Markus worked briefly as a house painter, a janitor and a high school English teacher before becoming an author. He lives in Australia with his wife and children.